Perhaps the most common formation in use today along with the 4-3-3. When analyzing its strengths and weaknesses, this book looks at and compares the success of Chelsea, Arsenal, Real Madrid and the Italian National Team in beating the 4-4-2 formation. In particular, this book explains how to overcome an opposition playing 4-4-2 and how to use the extra man in midfield as an anchor player. When playing against 4-4-2, coaches will need to know how to rotate their players to keep the opposition guessing and how to get the ball to their man in the hole. Platt uses his vast experience as an international and top level club player and coach to answer these questions and more. With roots in the attacking Brazilian and Dutch teams of the past, this formation has evolved into one of the most attacking and exciting styles of play and is becoming more popular each year. There are a variety of ways the triangular midfield can be deployed and subsequently a range of ways this formation should be defended against, particularly when opposing fullbacks are given license to attack. Along with an in-depth tactical analysis, this book assesses how Manchester United, AC Milan, Arsenal, Real Madrid and Portugal deploy and play against teams who play with the 4-3-3 formation. An evolution of the 4-4-2, this formation is favored by managers happy to play a flat back 3 so they can send wingbacks charging up the field. Teams utilizing the 3-5-2 tend to drop and defend deep and to use the full width of the pitch. 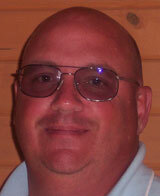 Consequently, coaches need to know how to best utilize their forwards to push the opposition’s backline. Similarly, coaches need to know how best to ask questions of the opposition’s wingbacks in order to push them in retreat. This book addresses and answers these questions and much more. During the 1990s David Platt was a mainstay of the English national team, earning 62 caps (20 as captain) and scoring an impressive 37 international goals for his country, making him one of the star names of his era in European soccer. Platt’s playing career began in 1984 at Manchester United, but the club would soon rue the mistake of letting him go as a teenager on a free transfer to Crewe Alexandra. Platt’s obvious talents didn’t go unnoticed by other coaches, however, and he was quickly signed by Aston Villa where he established his credentials as a strong running and goal-scoring midfielder. 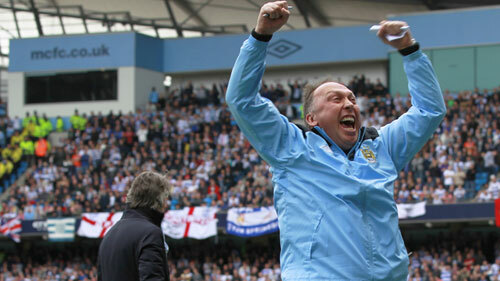 In 1990 Platt helped Villa to win promotion to England’s top division in 1990, earning the PFA Player of the Year award in the process. Platt’s obvious talents didn’t go unnoticed further afield, and he was promptly signed by Italian side Bari in 1991. After helping Bari to win the UEFA Cup in 1993, Platt moved to Juventus before being swiftly signed by Sampdoria, with whom he won the Coppa Italia the following year. Platt then made the move back to England to play for Arsenal, where he helped the club to win the much coveted double of league title and FA Cup in his first year. He stayed on at the gunners for two more seasons before ending his playing career at Nottingham Forest. 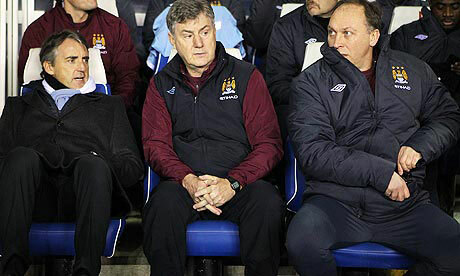 Platt’s brilliant football brain couldn’t be allowed to retire along with his body, however, and he was promptly appointed the head coach of the England U21 National Team, where he helped to develop future stars such as John Terry, Jermain Defoe and Shaun Wright Phillips. 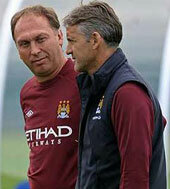 Platt then worked as a media pundit before becoming Roberto Mancin’s first team coach and right hand man at Manchester City. Each book starts by looking at the characteristics of each formation, utilizing detailed diagrams and clear explanations. This includes a look at the defensive responsibilities of each position and how the team can transition to go on the counter attack. Along with theoretical examples, the books look at how leading teams, like Arsenal, Barcelona and Manchester United, either deploy or play against the relevant formation. Where is the formation vulnerable? How can you break the down the opposition’s counter attacks? What are the role of flankers? These questions and more are answered in this chapter which analyses how to use a formation to your advantage and how to exploit it when used by the opposition. Each book now begins to go into more depth, looking at where the opposition’s goalkeeper is likely to play the ball, their team’s likely moves up the field and how you can play traps to force a mistake and win the ball back. Much like a game of cat and mouse, Platt explains how to get the opposition to play the ball where you want them to so you can use your own formation to your advantage. Platt shares soccer drills and exercises for establishing the principles of a tactical plan to get the opposition playing where you want them to. This can include warm-ups progressing to 11 v 11 soccer drills to practice the attitudes and tactical issues of playing against each formation. This chapter looks at covering movements, possible scenarios and advice on closing down the opposition’s players in the mid third before they can get to the penalty area. Platt also offers suggestions on how to create problems for them in midfield and how to intercept any potential through balls being played to their forwards. These drills show you how to defend in the midfield against each formation. Drills can progress from small area exercises to those taking up 2/3 of the pitch incorporating fullbacks. Platt discusses the responsibilities of players to win 1 v 1 situations and how to setup cover in case they are beaten. For certain formations, this can involve doubling up on the man on the ball and covering the overlapping wingers. Drills for improving tackling, positioning and tactics in and around the box. This chapter focuses on how to use your formation to get the ball into the opponent’s half by splitting the attacking play into thirds of the pitch. Whether you’re playing against a pressing high line or a spread out back four, Platt explains exactly how to exploit the opposition’s formation to your advantage. These soccer drills focus on how to get the ball from the goalkeeper to your players in the final third. In this section, Platt explains how to position your players to expose weak areas in the opposition’s defensive formation. Through detailed diagrams, he shows you where the best places are to position players to receive the ball and how to open up space in wide positions. These soccer drills focus on training your players on the mindset and formations for getting the ball into the box from the halfway line. In this phases, your players will need to be able to see things quickly and execute moves fast to unbalance and spread their defense. In this chapter Platt explains how to achieve this along with how to win clearances, how to get the ball behind their back line and more. These soccer drills will train your players how to get the ball to your forwards and how to exploit weaknesses in the opposing defensive formation. 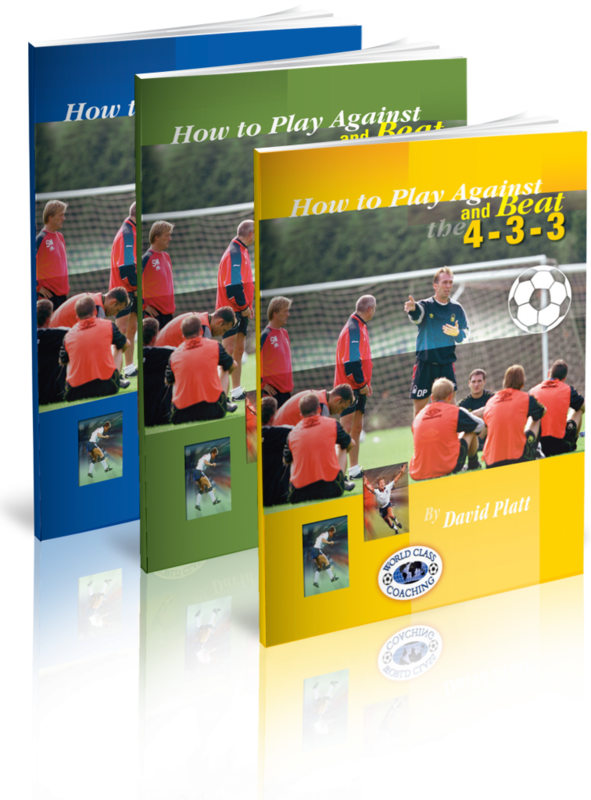 In the final chapter, Platt provides an overview of the key points from the book and summarizes the ideal strategy for playing against and beating the opposition. If you’re ever stuck for ideas on how to change your strategy and formation to gain the advantage, this special set of books will provide you with all the answers you need. Expertly written by David Platt, one of the biggest names of his era, the How to Play Against and Beat series offers you a comprehensive playbook for exploiting and defeating the opposition’s formation. Whether you are coaching at collegiate level or a club team in a top division, the Systems of Play series by David Platt will provide you with the tactical insights and knowledge of a coach and player that has won trophies, national caps and scored many goals at an international level. These books will give you the tactical edge and confidence to counter, exploit and beat your opponent’s formation and win more games. WORLD CLASS COACHING is recognized globally for the quality of its soccer coaching resources, which are used by over 40,000 soccer coaches from around the world. We would’t be offering you the Systems of Play series by David Platt unless it achieves our exceptionally high standards. 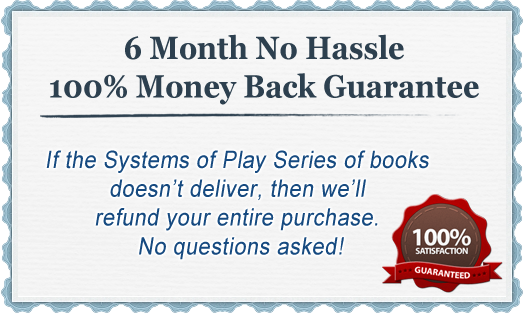 However, if you are not 100% satisfied with the quality of the Systems of Play series after six months then please contact us for a no quibbles refund. 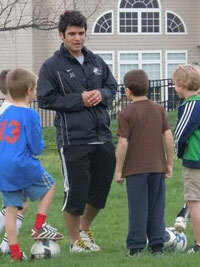 As a coach, you spend your entire career developing and improving your tactical awareness and knowledge. The Systems of Play series of books will equip you to rapidly improve your coaching education by gaining the insights of one of the leading players of his era. David Platt continues to coach at the highest level of the game, so he knows exactly how to setup teams and formations to defeat some of the top sides in Europe. Utilizing detailed diagrams and clear explanations, the Systems of Play series will show you exactly what tactics and formations to use to counter and beat your opposition, whether they are playing 4-4-2, 4-3-3 or 3-5-2. Consequently, your players will be more tactically aware and adept at closing down attacks, creating space and taking advantage of more scoring opportunities. It’s often said that when two teams are identical the difference is the manager, and with this series of books you can dramatically increase your chances of being the manager on the winning side. P.S. The Systems of Play series of books are expertly written by David Platt, one of the star names of his era. Each book shows you exactly how to counter and beat the opposition’s formation, whether they are playing 4-4-2, 4-3-3 or 3-5-2. 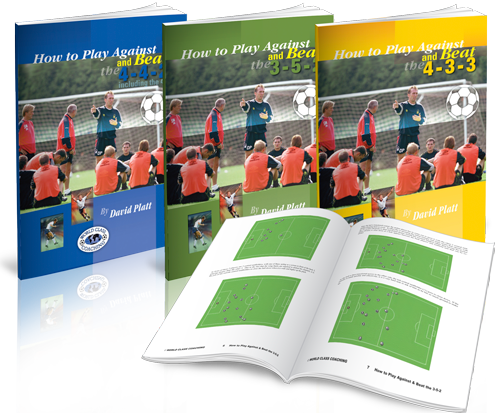 In addition, each book contains soccer drills and exercises to train your players in the mindset, tactics and style of play needed to turn the game in your favor. P.P.S If you are not 100% satisfied with the quality of the soccer coaching resources in the Systems of Play series after six months then we will refund your purchase in full, no questions asked.